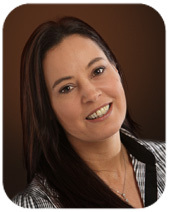 Alison has worked in Financial Services for more than 20 years working with both private and corporate clients. She is passionate about improving the service provided to clients and is a driving force behind the training and development of our team. She is a member of the Personal Finance Society and holds the Diploma in Financial Services. Outside work Alison is keen keep fit fan, who has completed several 10km runs, raising funds for various charities including Cancer Research UK, Marie Curie Cancer Care, Motor Neurone Disease Association and Surrey Air Ambulance. She is now turning her attention to raising as much money and awareness as she can for our nominated charity. More recently Alison “upped the ante”, running her first marathon in Berlin. She is a keen cook and loves the fact that, if she runs, she can eat what she likes without guilt (well almost!). When not cooking or running, Alison loves nothing better than settling down with a good book.